My usual hiking buddy was not available for a Saturday hike so I leaned on one of my friends…. and frankly kind of tricked her. At first I was all sweet, I will pick something easy but with good views…something close. But Lisa has been working out like crazy so after a few probing questions I had originally picked Carpenters peak (Hike Details here) in Roxborough State Park. And then the weather just kept getting better and better. I mean it was crazy beautiful and warm all week, the forecast for the mountains was just as good. 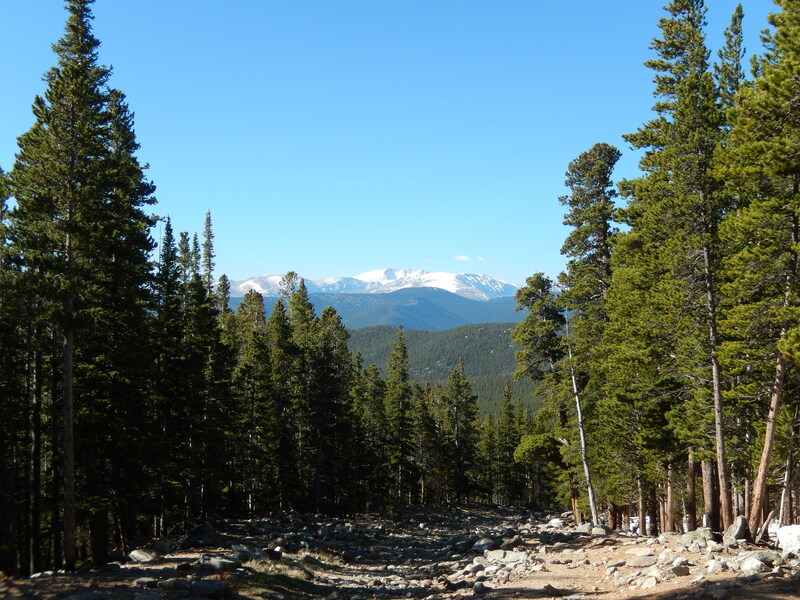 I started dreaming of beautiful vistas and a high hike without snow or the need of snowshoes up high. I have been craving a high hike for weeks and as the week went on I decided to sweet talk(trick) Lisa into something a little more challenging. I was very strategic. She innocently thought it sounded great, I am very good at playing it as easy…. 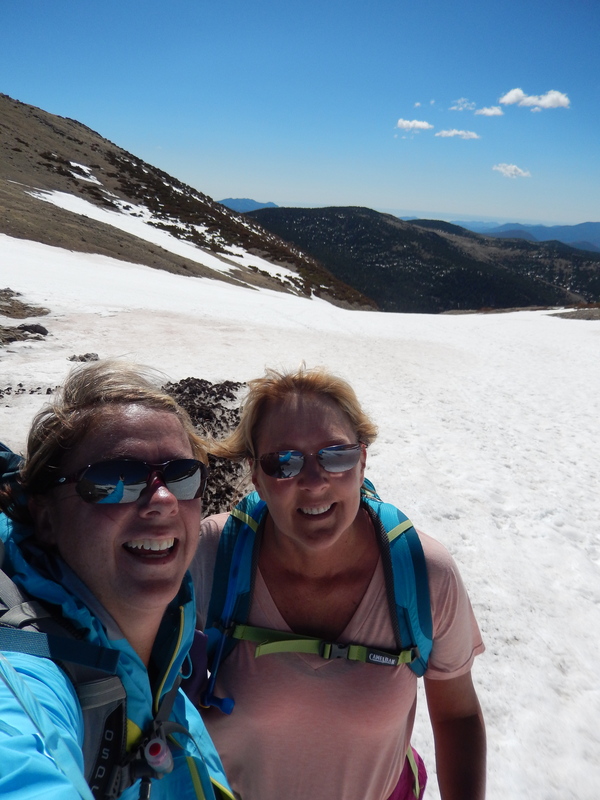 I told her it would be fun to do St. Mary’s Glacier and if we got to the top of the glacier then we would go to the base of James Peak(hike details here). It was a huge stretch and I felt super bad for making her try it but at the same time I needed to be there on Saturday even if we only made it to the lake and no further. In fact that was all I hoped for, because the truth is you need to work up to 10K and above and Lisa hadn’t but I was in good shape from that standpoint. St. Mary’s starts at 10,400 and getting to the flats meant we have to get to at least 11,700ft , I would not put Lisa in danger just to get my views. Getting to the lake was no problem, there was no snow until there was a there was a ton of snow but it was early enough in the morning that we could walk on top of it without traction devices. 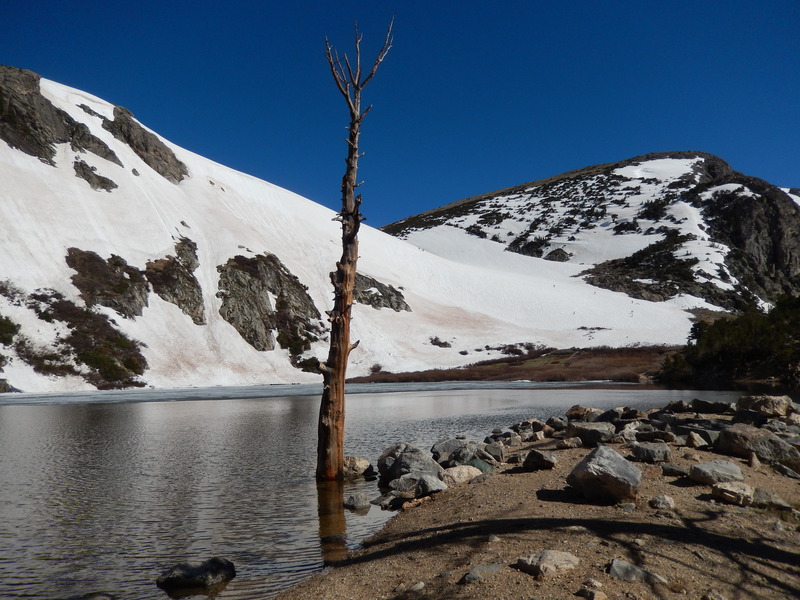 The lake was beautiful, partially frozen with the most amazing blue skies overhead and a crazy amount of snow ….. on the Glacier. 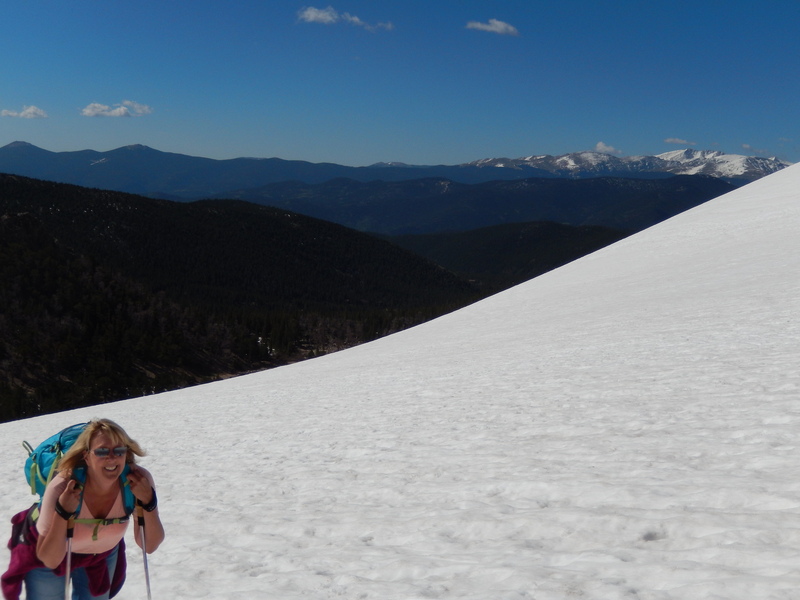 I seriously had resigned myself to going no further because the glacier can be daunting but Lisa was totally game. When we started up I told her to be honest and take her time, our only schedule was to beat the storm that would eventually hit. Check out how blue the sky is. 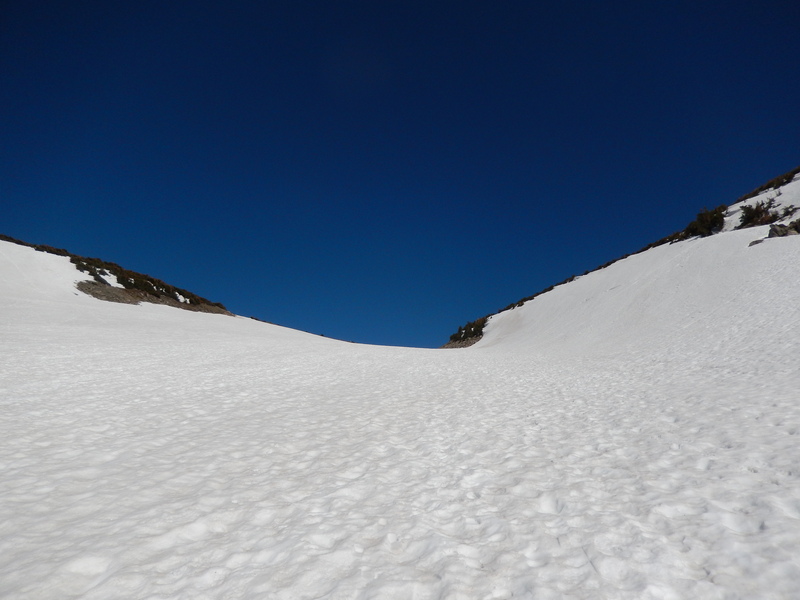 We started climbing up, the glacier was decidedly mushy but no postholing, I had traction devices for us both which helped prevent unnecessary sliding which I am sure would have killed Lisa’s resolve. It took just a few minutes of climbing and she asked so is that the top? To which I replied, do you want me to be nice or honest? She hesitantly said honest and I reminded her in the car when I told her the glacier was about a mile long so no that wasn’t the top. Then I made her turn around and look at the view, it was the prefect motivation! I am pretty sure my name is tied to a lot of swear words right about here. About halfway up I am pretty sure Lisa was ready to kill me but she kept moving up. When we were with in view of the top I asked her if she wanted me to remain ambiguous or tell her the truth? That brave girl picked truth again which was good because we were almost up. We took our time and when we got to the top we were both so excited, I am so proud of Lisa she did amazing! We were sweaty after all that climbing even though it was in the 40’s on the way up, but the wind at the top was cold and so jackets went on. 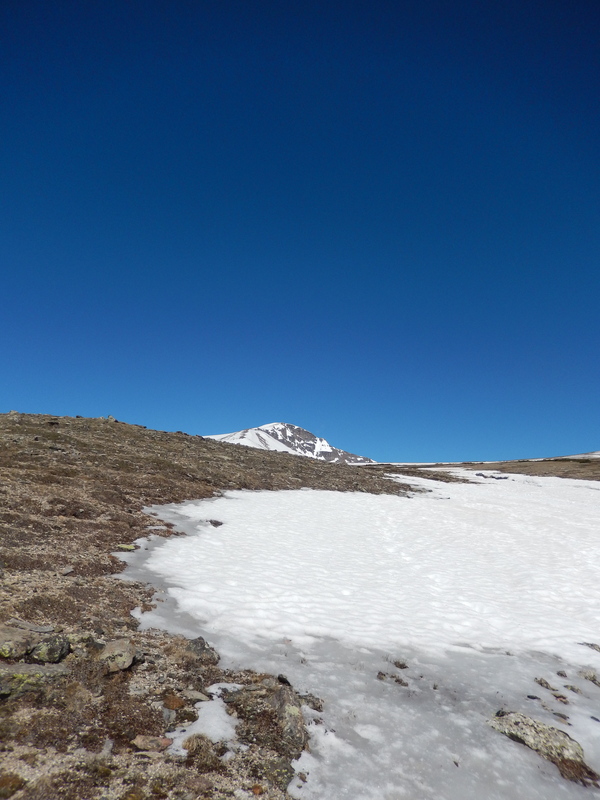 We walked around on the flats looking for a way without snow to James peak but there was just too much of it, where there wasn’t snow it was wet or a full on snow melt streams. 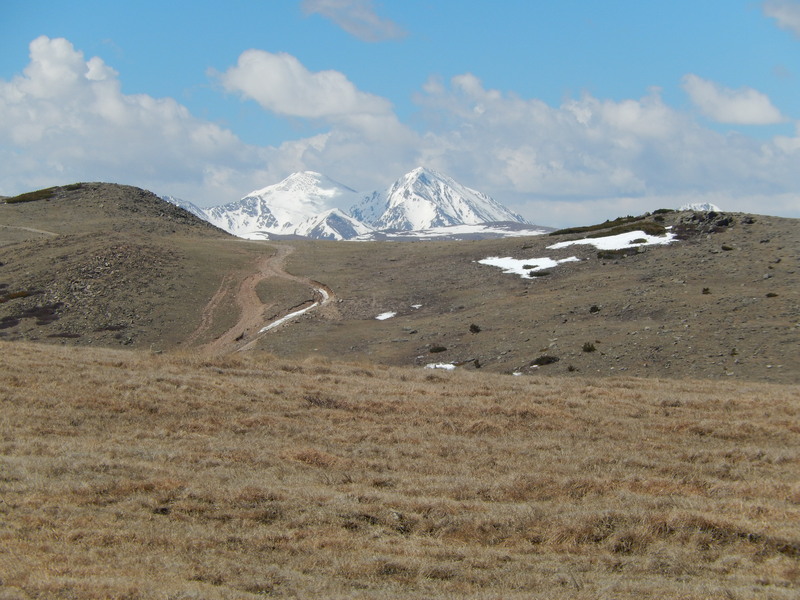 We climbed a little more and saw Grays and Torreys (14ers) in the distance while looking at James Peak ahead of us. There was also the amassing clouds making their way around James peak for the predicted afternoon thunderstorm so we took our few pictures and headed down. Lisa loved the hike and the views were spectacular. I have to agree with her, I had great company and the pleasure of showing someone such a beautiful place for her first time. In the end we did 5 miles total with 1300ft of elevation gain. Sunday Aaron and I hiked Deer Creek Canyon( Hike details here) to get him acclimatized to the altitude after him being at sea level for a week. The trail was crowded and it was crazy hot…. I did terrible like could barely breathe terrible. and my feet were again torn up. I have taken it easy this week with my heels and refused to wear shoes that might aggravate them any further. We are doing an easier hike tomorrow that won’t require much climbing since we have had a week light in exercise. But we are still getting out and I am hopeful that this next week will be a better one all around. I hope whatever you are doing this weekend, it includes hiking some where! It’s so interesting for me to read your blog. I get associations for scads of comments. 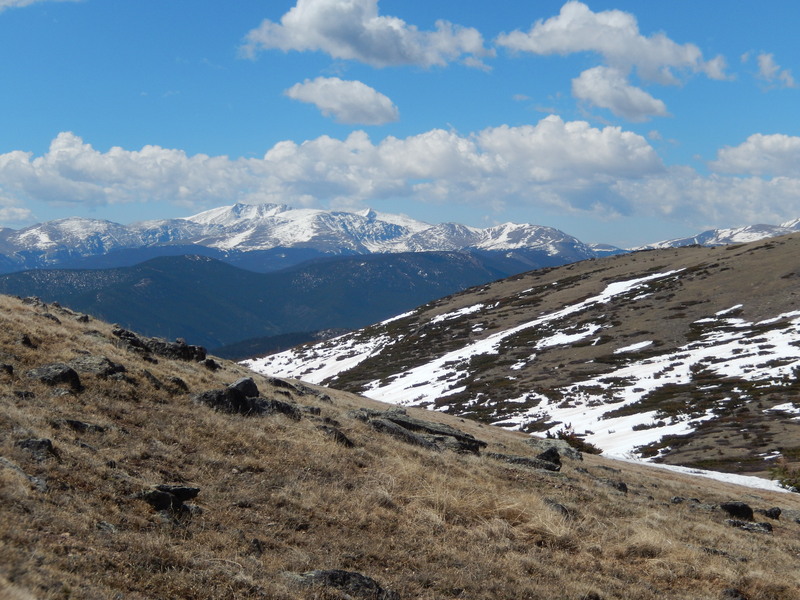 I had never hiked much until 2008, and now I think that I have summitted 14 different 14ers. My third one was Quandary in 2009 with so many postholes that my shins looked like death. Your descriptions make me want to do St. Mary’s. I think that I will next weekend. Anyway, my heels gave me fits–down to moving moleskin to make new bloody blisters–for many years. I climbed Yale with a friend of mine last summer who is a marathoner, and she introduced me to bodyglide. Nothing now. Not a single blister. Body glide on the backs of my heels, a pair of Smart Wool socks first, with Fox River hiking socks over those, and I have pain free feet. Really body glide works for that too!?! I will have to try it, thank you for the suggestion. Do you ever have to reapply during the hike or does it work the whole time? Sadly I did my feet in for a couple of weeks this past weekend and had to return the beloved Keens…. I am not sure how I will handle a weekend with no hiking as it has been years since I have not hiked on a weekend that I have been home to enjoy the mountains. 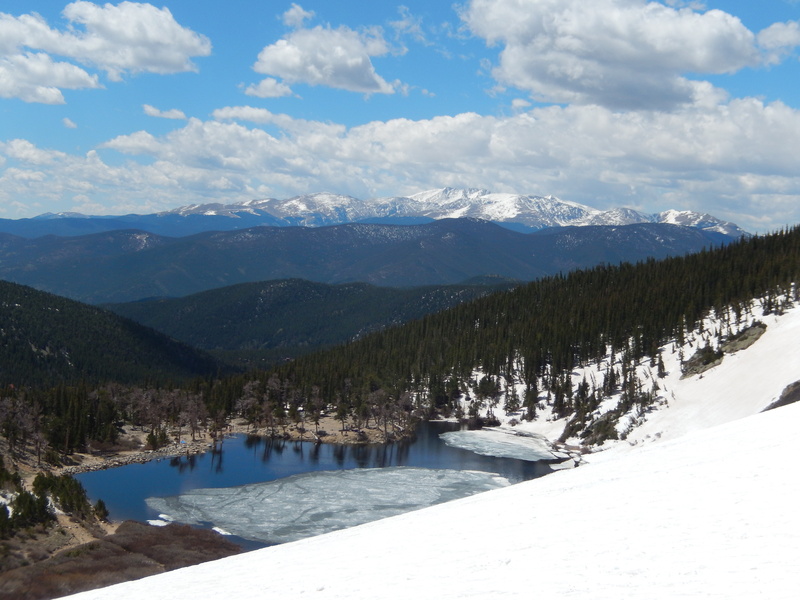 I hope you love St. Mary’s Glacier, going to James peak is so worth it if you can do it! It does. I was soooooo incredulous, because this particular friend is always full of advice. But, one application held me for the VERY long day on Yale. I did have to reapply on Sunday when we did a little 3-mile family hike of Meyers Ranch, but typically don’t have to. James Peak and St. Mary’s will be on my list then. Thank you. We also plan to climb Handies this summer–that one as a family. Thank you! Unfortunately returning my hiking shoes leaves me with normal options PLUS doctors orders are no hiking this weekend until the infection is gone. I will have to check out those hikes you mentioned as soon as I can hike again! 🙂 They are simple, short, but still very interesting and beautiful. All my best nursing back that infection. Great pix! I hiked Deer Creek Canyon on Tues and it was bloody hot but cooled off once I got in the trees. Thank you! It was really hot on Sunday for us too and strangely humid which I am no longer used too! 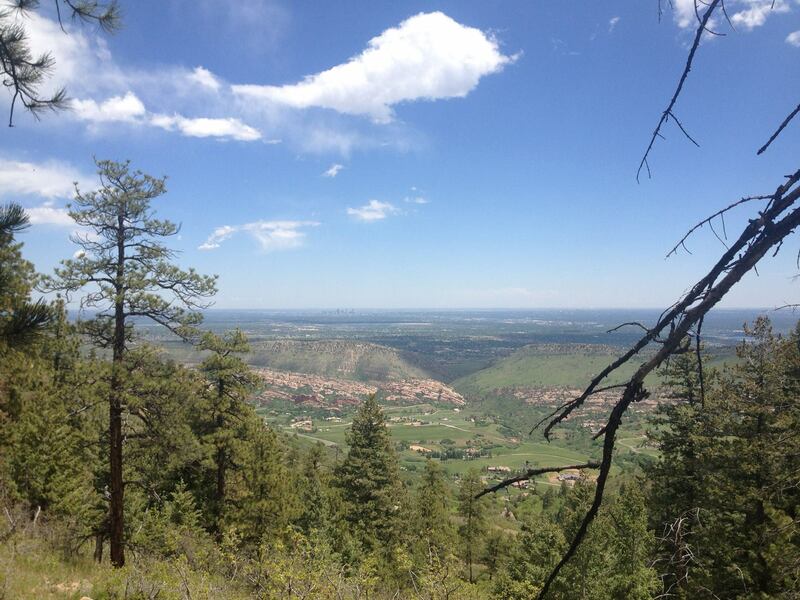 It is one of my favorite workouts on the front range! It really was a perfect day, I just love how blue the skies are here! With all the white it makes everything so vibrant! I agree on motivation methods but always feel a little guilty until I know they are happy they were tricked! So far no regretful friends!!! That’s a good friendship – you’re each getting what you want, even if there is some swearing along the way! Beautiful. Ha! Right!!! I am a very lucky girl to have a friend like Lisa! Thank you! 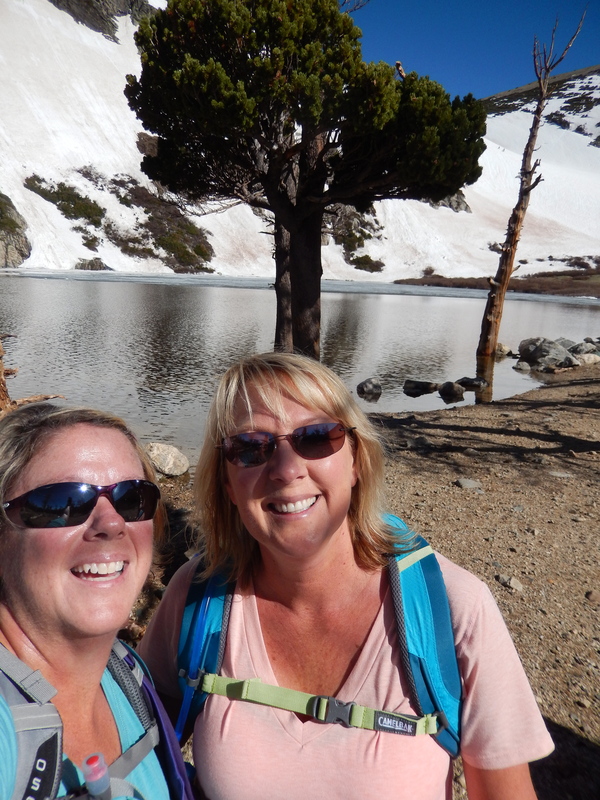 Great job Kathy and Lisa on that hike! What a challenge. So awesome that Lisa was such a sport! Thank you Nancy! Lisa was awesome!!! I am so proud of her for making it all the way to the top!! !